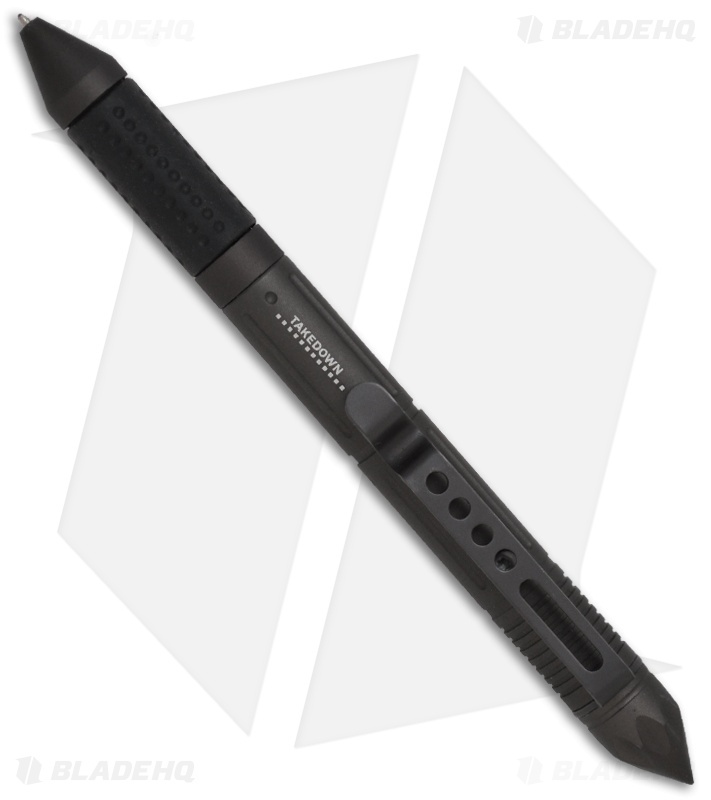 The Takedown tactical defense pen features a gray anodized aluminum body with a breaker tip. The rubber grip aids in writing and other use. The retractable pen tip simply twists to open and close. The pen writes well and has a replaceable ink cartridge (black). If you need a replacement ink cartridge click here. Pocket clip for easy carry. This is a great self-defense tool in a package that makes it easy for everyday carry.